This knife features a high-carbon steel blade with a serrated edge that is designed to cut through a product's tough outer skin or crust while protecting the soft interior. Crafted with a Grip-Tex handle, this knife provides a soft yet firm grip, as well as slip-free usage. 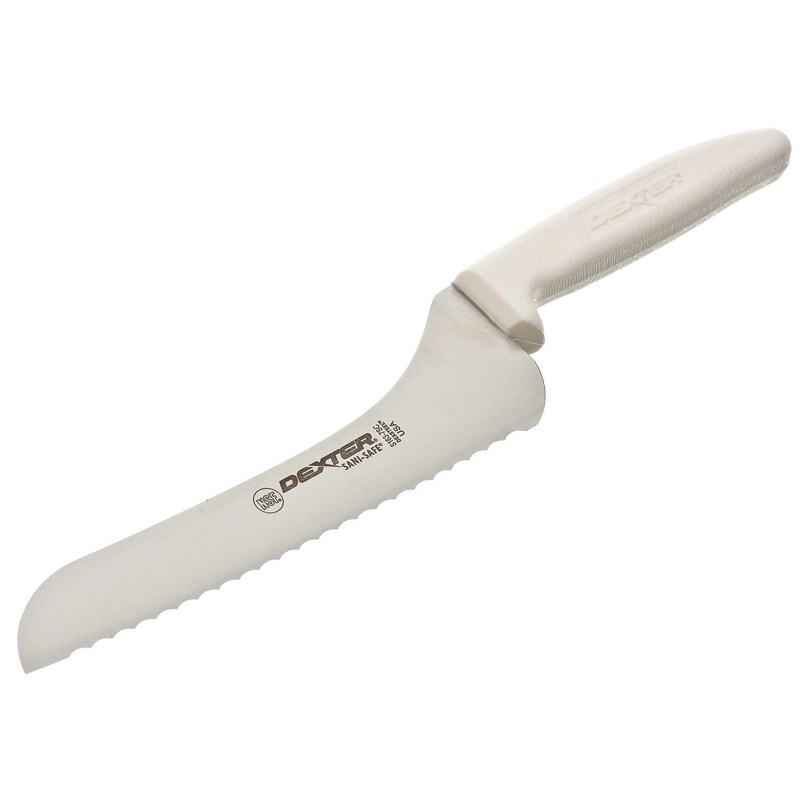 This knife is perfect or bakeries and restaurants in need of a tool that will slice bread without causing damage.